If youve been bitten by the paragliding bug, it might just be time to think about a paraglider of your very own. But those who are relatively new to this sport dont often have the background knowledge to make an informed purchase  and this isnt a piece of equipment you want buy blindly. Ozones entry-level glider features the durability, balance, and stability so helpful for newbie pilots, yet manages to perform admirably on extended cross-country flights  once youre ready for them. Its low weight and agile, quick-to-inflate properties ensure that even as you get some real-world flying experience under your belt, you wont feel the pressure to upgrade anytime soon. Accessible enough for beginners, yet light and responsive enough to satisfy the pros, Ozones Buzz series is aimed at newcomers to the sport who expect to rack up some flight hours quickly and on a regular basis. This wing, which comes in six different sizes, has a very compact feel and a leading edge that cuts into lift with a satisfying and tactile bite. Itd be hard to find a better-performing glider that still matches the accessibility of the Buzz 4. A brand-new offering from Bruce Goldsmith Design, the Adam is a simple yet powerful model designed with beginners and leisure pilots in mind. Ultra-smooth panels lend the wing a powerful stability, and a ribbed trailing edge means brakes are always responsive and predictable. Four vibrant color options make it a particularly good choice for youngsters, for whom you might want a bit of extra visibility from the ground and from others in the air. For those with a bit more experience, but who may never have owned their own rig, the Geo 4 is a perfect blend of accessibility and performance. 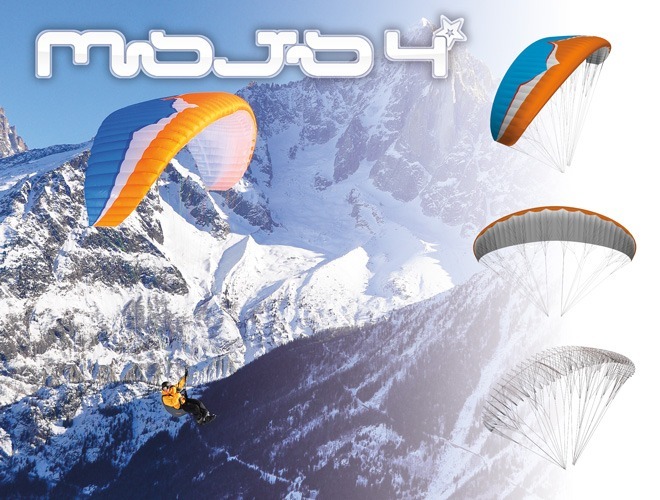 Compact and comfortable, this wing features an even lighter weight than previous models without sacrificing stability. Superior glide performance and handling make it versatile and agile enough to transition into more advanced maneuvers and to squeeze more lift out of thermals  once youve become comfortable with the basic techniques.